Full Service Office Coffee Solutions for Toronto, Mississauga & GTA Areas! 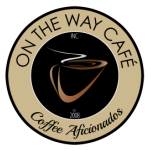 ON THE WAY CAFE Inc. provides the best office coffee delivery service in Toronto, Mississauga and the GTA. Our mission is to bring café-quality beverages to your office by offering high quality coffees from around the globe, paired with reliable coffee brewing systems. We take pride in offering convenient, eco-friendly and affordable solutions. Our premium coffee delivery service brings the best in coffee right to your office. Whether you prefer coffee, espresso, latte, cappuccino, flavoured coffee, tea, or hot chocolate, ON THE WAY CAFE Inc. sources only industry-leading products. As part of our full-service solution, fresh milk, cream, sweeteners, snacks, juices and other kitchen essentials are also available. From installation to scheduled visits, our Account Managers take care of you. 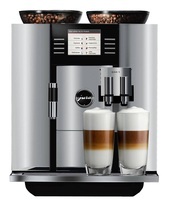 A dedicated Account Manager will assess your office's requirements and recommend the best office coffee solution. But we don't just stop there. We also manage inventory, ordering, delivery, equipment maintenance and more. ON THE WAY CAFE Inc. makes your office coffee experience worry-free and enjoyable - we'll even brew a fresh pot of coffee on our visits. As a complete office coffee service in Toronto, Mississauga and the GTA, we are passionate about coffee and committed to serving fresh and delicious-tasting beverages.